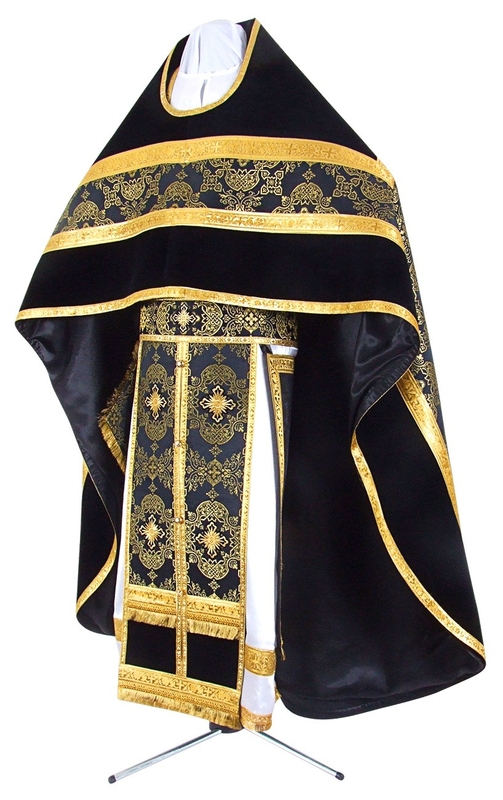 Orthodox Church liturgical Russian Priest clergy vestments (black-gold) by Istok Church Supplies Corp.
Istok Church Supplies is proud to offer custom tailored, high quality Russian Priest vestments in black and gold designed to enhance the visual splendor of Russian Orthodox Christian churches and set apart the wearer as an important functionary of the parish. 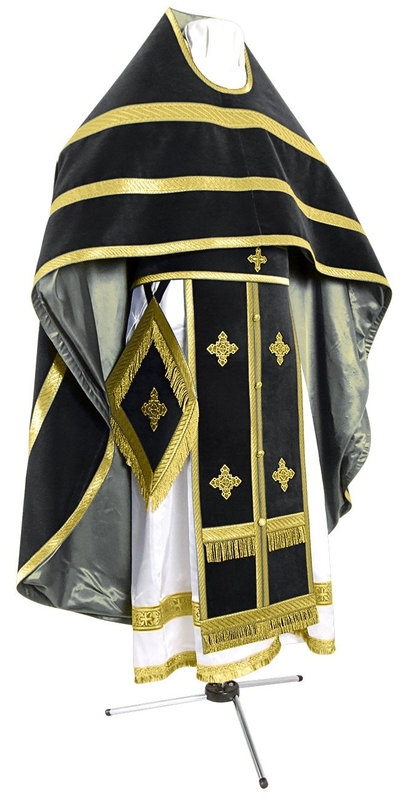 We realize liturgical vestments have enormous spiritual significance and ensure that they are rendered in accordance with ancient canons and traditions. 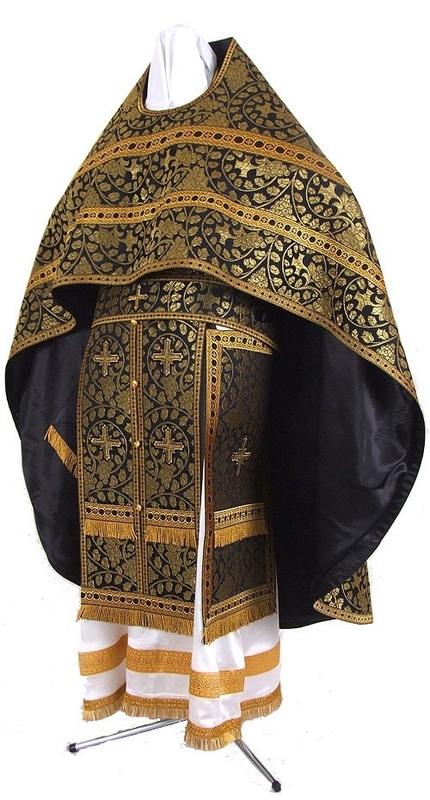 Our Russian Priest vestments in black and gold are worthy of liturgical use during the Great Lent. 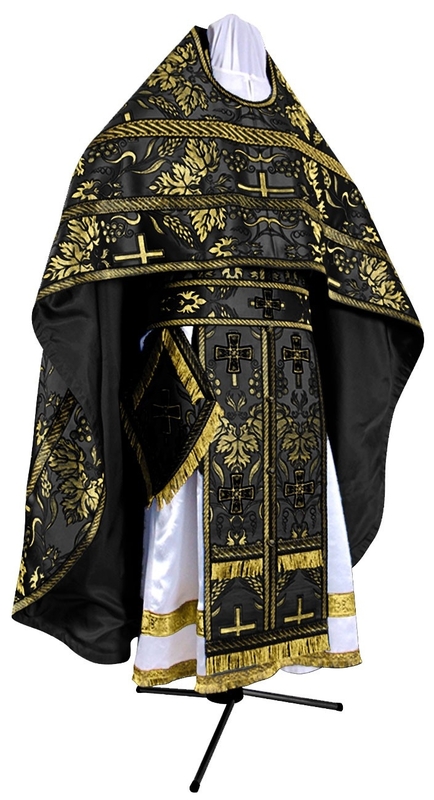 We offer these vestments as complete sets that contain six items – phelonion, epigonation, epimanika, zone, epitralhilion and nabedrennik. 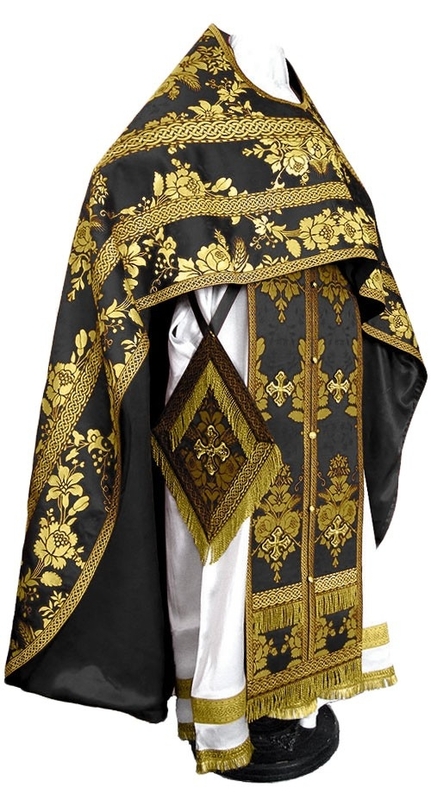 Customers can select from four fabric choices - rayon jacquard brocade, metallic jacquard brocade, natural German velvet and embroidered vestments made with fine German Madeira and Gunold threads. 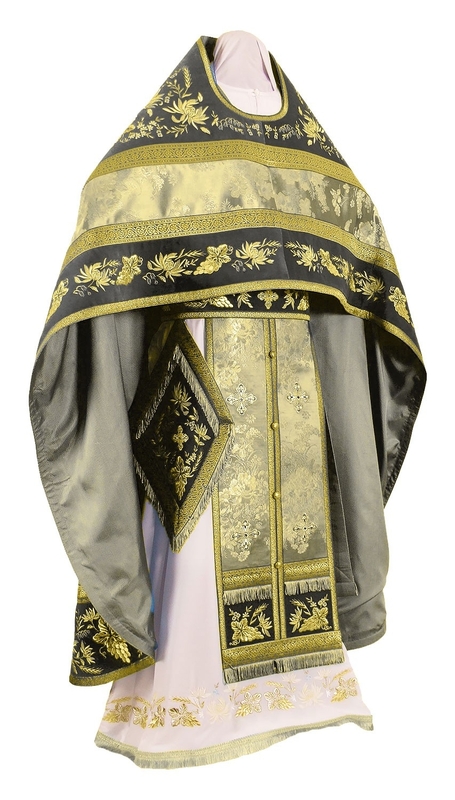 Fabric patterns range from simple and elegant to ornate and lavish. 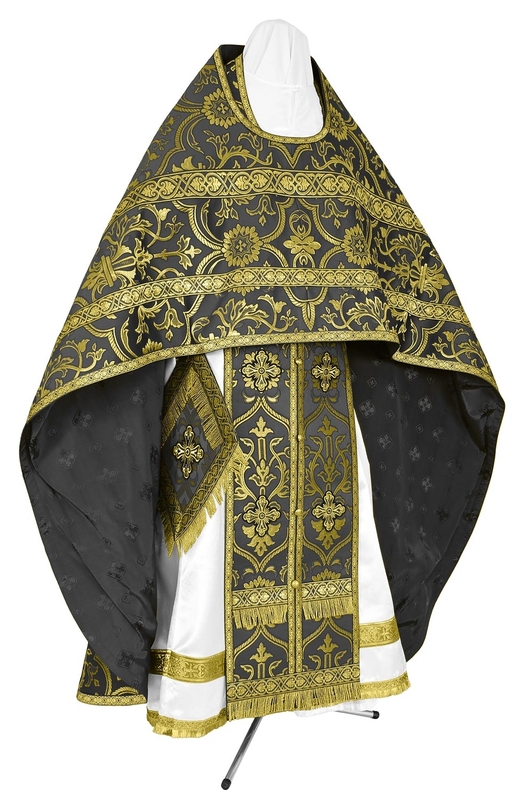 Customers who wish to purchase a particular vestment with a different fabric belonging to the same fabric class can make a request in the Notes section during ordering process. 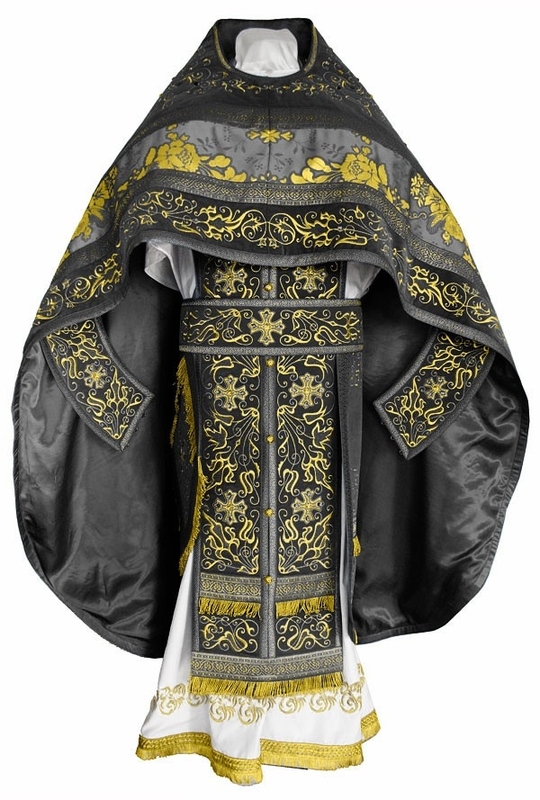 Customers can upgrade their orders by adding natural velvet inserts, a matching podriznik, matching chalice covers or an embroidered cross for the back to enhance the appearance and value of their custom Russian Priest vestment. 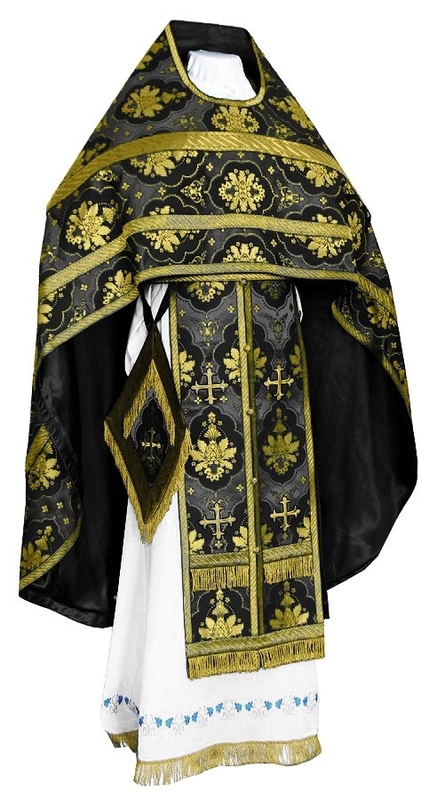 Adornments add to the beauty of our black and gold Russian Priest vestments. We offer a choice of three types – standard, premier and luxury. Customers can select a type depending on their community requirements, budget and individual taste preferences. 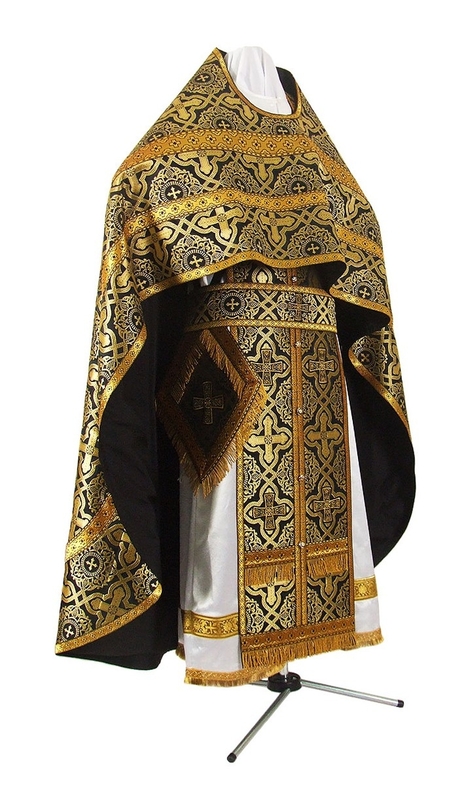 Our Russian Priest vestments are made to order, rendered by our highly skilled tailors in Europe. We invite customers to refer to our online measurement chart and provide their latest individual measurements, so our dedicated tailors create superior vestments with the perfect fit and impeccable attention to detail. 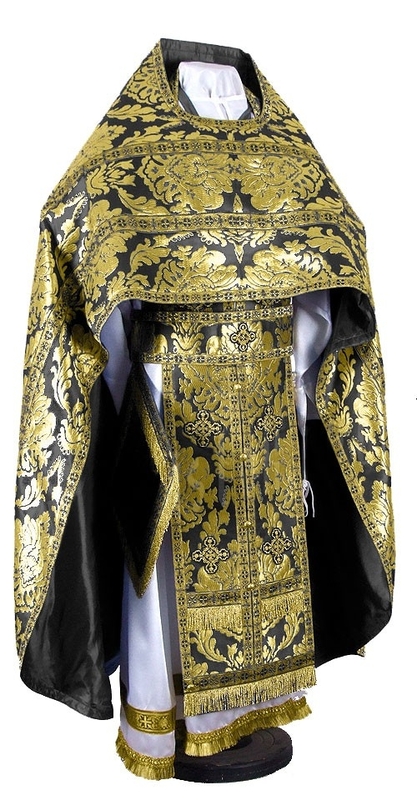 It takes us three to five weeks during non-peak periods and six to eight weeks during peak seasons to custom tailor Russian Priest vestments. Place your order well in advance if you want it in time for a special occasion.